Here is a new series just for December: party appetizers! No matter which holiday party you’re celebrating (Hanukkah party, Christmas party, New Year’s party, etc.…), these appetizers are perfect small bites to delight your guests! 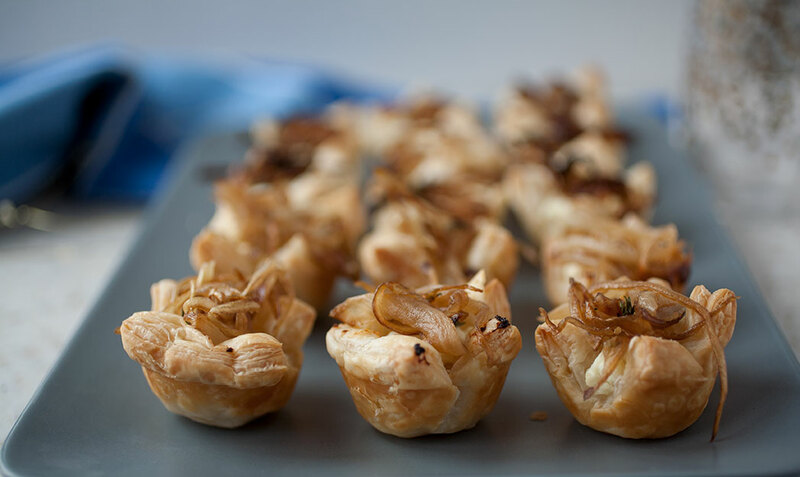 And I’m starting off with one of my all-time favorite appetizers, caramelized onion and goat cheese tarts! They only require a handful of ingredients, aren’t very labor intensive, and the sweet-savory flavors meld perfectly in the flaky pastry crust! 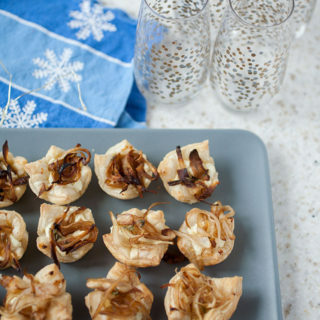 These holiday appetizers will fly off the plate! The only ingredients you’ll need are goat cheese, some honey, ready-made puff pastry, an onion, and thyme (plus neutral oil/butter and balsamic vinegar for the caramelized onion). Again, it’s not a very labor-intensive recipe, but the caramelized onions do take a while to cook. The mantra for truly caramelized onions is low and slow—slow cooking on low heat, cooked with enough fat in the form of a neutral oil and butter, plus a bit of balsamic vinegar to boost the flavor and add the sugar needed for caramelization. I also always add thyme (fresh or dried) to mine because there’s just something about the taste that I like, but you can certainly leave it out. Over low heat, you’ll stir the onions occasionally, watching to make sure they don’t need more butter or oil, until they’re beautifully browned and caramelized. 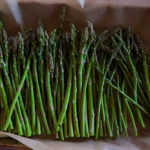 These will go into the cups of a mini muffin tin, with the goat cheese, and you’ll bake it until the puff pastry is puffed up and beautifully golden brown! Then just top with the onions and you’re good to go! Don’t let the onion cooking time put you off—this is a low-maintenance party appetizer perfect for your next party! These caramelized onion and goat cheese tarts only require a handful of ingredients, aren’t very labor intensive, and the sweet-savory flavors meld perfectly in the flaky pastry crust! These little bites will fly off the plate! Slice the onion into long strips. Heat the olive oil and butter in a pan over low heat. Make sure the pan is large enough for a single layer of onions. Once the butter and oil are ready, add the onions, balsamic vinegar, and thyme. Cook the onions for about 45 minutes, stirring occasionally, until the onions are beautifully browned and caramelized, but not burnt. While the onions are cooking, whip the goat cheese and the honey with a hand mixer or in a stand mixer until soft and creamy. Preheat the oven to 350°. 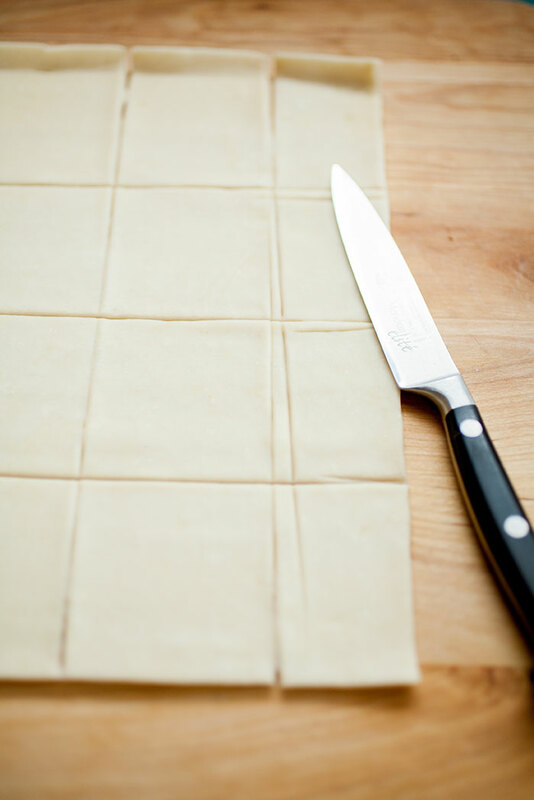 Lay the puff pastry out onto a board and cut into two-inch squares. Grease a mini muffin pan and gently press the puff pastry into the cups. 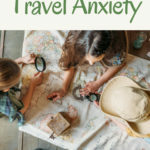 Don’t worry if it’s not perfect or doesn’t sink into every nook and cranny. It won’t matter. Spoon a teaspoon to a teaspoon and a half of the goat cheese into the puff pastry cups. Put the goat cheese-filled cups into the oven and bake for 15 to 25 minutes, or until the puff pastry is puffed and golden on top. Take the pastry cups out of the oven and let cool for ten minutes. 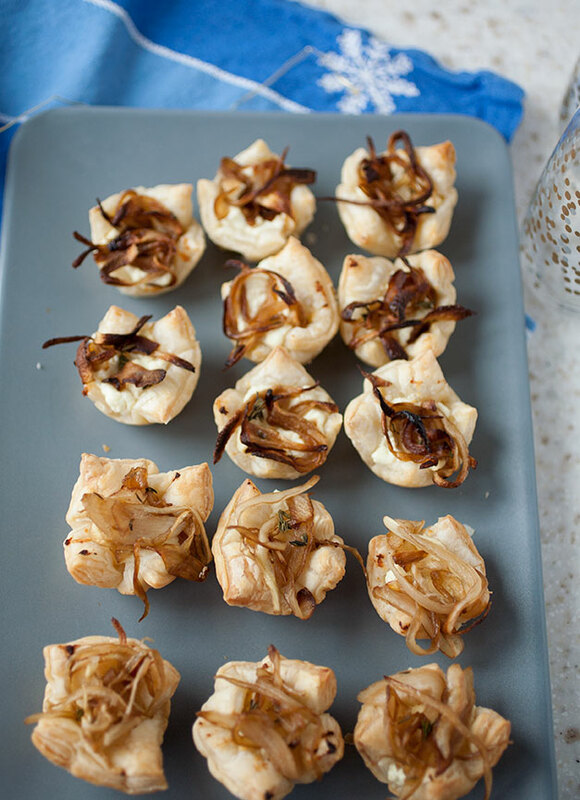 Top the pastry cups with small bits of the caramelized onion and serve! 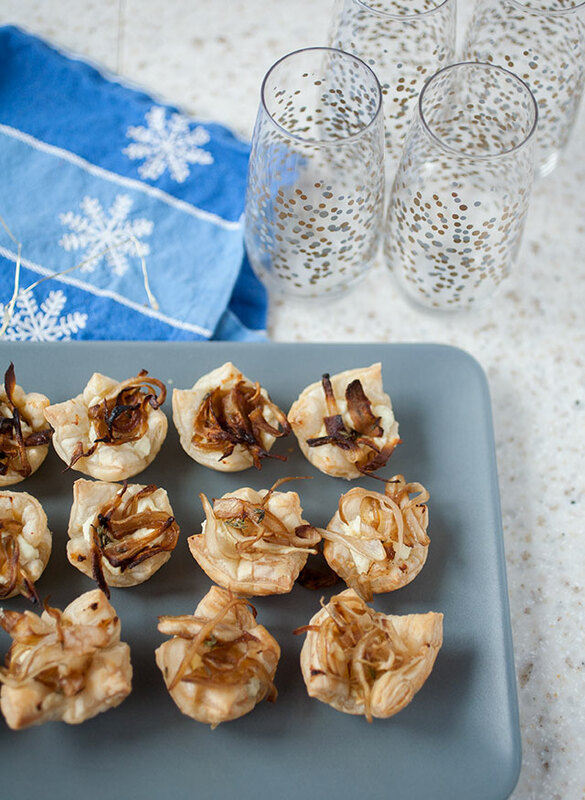 These caramelized onion and goat cheese tarts are easy holiday appetizer everyone will enjoy that are full of flavor and very pretty to boot! 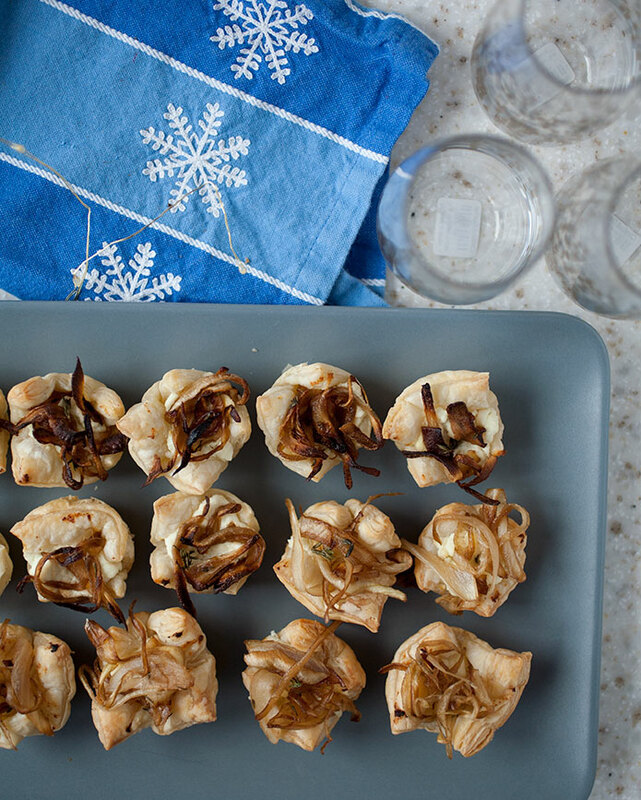 Keep checking back this week for more simple holiday party appetizer ideas! 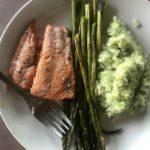 Absolutely delicious and so easy. My family loved them.